From beautiful beach clubs to luxurious hotels and relaxed restaurants, Benalmadena to Marbella, we can find the perfect venue for your Wedding day. Be assured you are booking a Wedding Planner you can trust. Put your Wedding in safe hands with Bespoke Weddings Spain. 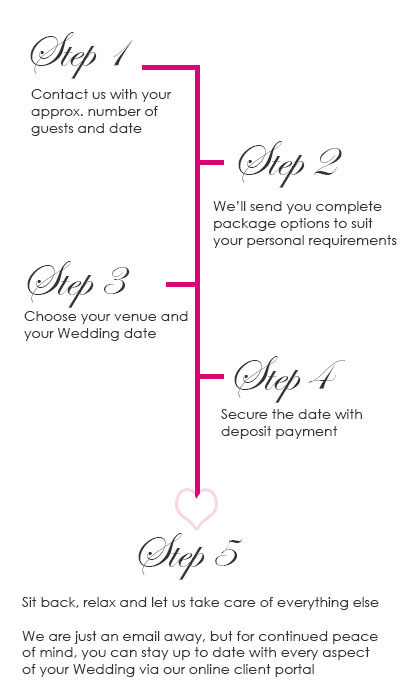 Here at Bespoke, we’re proud to offer Complete Wedding planning packages in Spain, in English. We’re here to make planning your Wedding in Spain hassle-free. We understand that getting married abroad can perhaps be a little daunting at first, so we’ve made the whole process as complication free as possible. Bespoke Weddings Spain was founded in 2012 by Melissa, who has since been Wedding planner, web designer and all things admin for over 300 Wedding couples, as well being bridesmaid and even a bride herself back in 2015. Eve joined the whirlwind of Spanish Weddings in early 2017, after years of work in the Wedding Industry in both UK and Ireland. Having both been brides, bridesmaids and now mothers, we know how stressful the juggle of modern day life can be on our brides and grooms, so we work hard every step of the way to alleviate those nerves, and make the wedding planning almost as enjoyable as the Wedding day itself! Whether it’s a Catholic Church Wedding, or a Romantic blessing ceremony you are looking for, we can help you every step of the way. We have complete and easy to understand packages available at a wide range of venues along the Costa del Sol, from luxury golf resorts to traditional Andalusian fincas, five star Marbella beach clubs and everything inbetween. We have venues to cater for Weddings from 10-300 guests, so whatever the size of your group, rest assured, we have the perfect location for you.